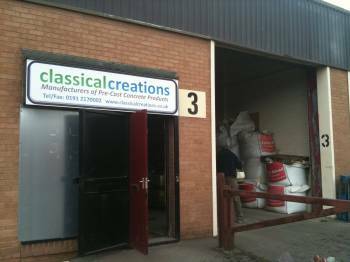 Classical Creations is a family run business manufacturing Pier Caps and Coping Stones for UK wide delivery. We are based in Brunswick Village, Newcastle upon Tyne. Our Coping Stones, Pier Caps and Patio Circles are all manufactured here in the UK, to the highest standards. We use high strength concrete and our specialist moulding techniques to bring you the very best products at affordable prices, giving you peace of mind. You can view our full range of here, or choose from our Coping Stones, Pier Caps and Patio Circles. We currently supply our products Nationwide through our website to home owners and independent builders and also supply a number of large local and national builders merchants including Buildbase, MKM and Travis Perkins. Also we can often manufacture Coping Stones and Pier Caps to match your exact specifications using our highly specialist mould making techniques. Contact us on 0191 217 0002 today to discuss your project requirements. We are always happy to help. Our years of experience providing high quality cast stone products to home owners, builders and building merchants across the UK means you’ll receive the very best merchandise with speedy delivery and excellent customer service. We ensure all of our products leave the factory in the very highest standard of quality. Based in Brunswick Village, Newcastle upon Tyne, we deliver across the United Kingdom. 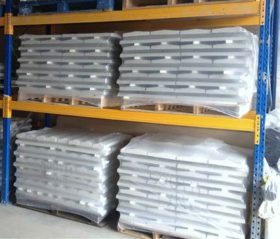 We use high strength concrete and our specialist moulding techniques to bring you the very best products at affordable prices, giving you peace of mind. 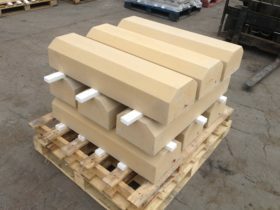 Our Coping Stones, Pier Caps and Patio Circles are all manufactured here in the UK, to the highest standards. Thank you for visiting Classical Creations. You can also keep up to date with us, read handy tips and see any special offers on our blog here, as well as finding us on Facebook and Twitter.